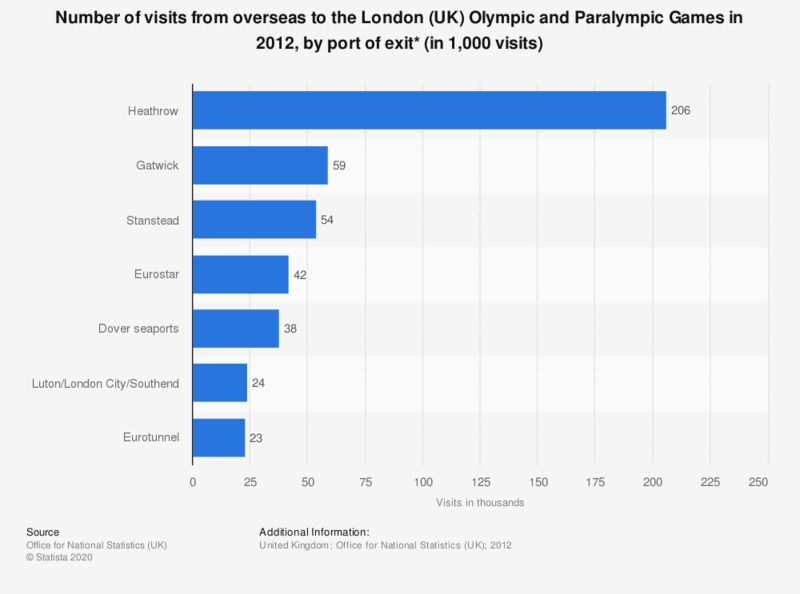 This statistic shows the total number of visits by overseas residents to London with a purpose related to the the London 2012 Olympic and Paralympic Games, by port of exit. Approximately 206 thousand visits involved traveling out through Heathrow Airport. * Includes visits by overseas residents whose main purpose for the visit was related to the Olympics/Paralympics.